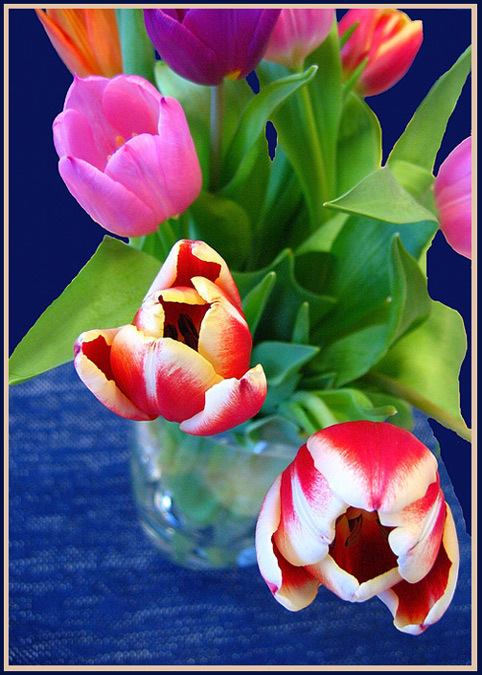 Warm and cheerful coloured tulip for Happy Easter for everyone of you,my friends!! Very well done Mari , Happy Easter ! Very beautiful floral composition, colours and details are great! Have a Good Easter Mari! WOW! Wonderful details and colors captured!!!! Impecible clarity and color, Mari. Most beautifully arranged. So beautiful. Thanks and Happy Easter to you too! Beautiful image! Lovely colors all so nicely arranged and captured for us to see. Wishing you a wonderful Easter too! Какая красота!!! С пасхой , Мари!!! so colorful and soft mood, congratulations!